Talk: How is Architecting for the Cloud Different? If my application runs on cloud infrastructure, am I done? Not if you wish to truly take advantage of the cloud. The architecture of a cloud-native application is different than the architecture of a traditional application and this talk will explain why. How to scale? How do I overcome failure? How do I build a system that I can manage? And how can I do all this without a huge monthly bill from my cloud vendor? We will examine key architectural patterns that truly unlock cloud benefits. By the end of the talk you should appreciate how cloud architecture differs from what most of use have become accustomed to with traditional applications. You should also understand how to approach building self-healing distributed applications that automatically overcome hardware failures without downtime (really! ), scale like crazy, and allow for flexible cost-optimization. Ready to learn more about Windows Azure? 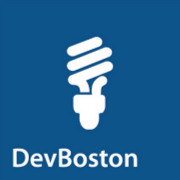 Come join us at the Boston Azure Cloud User Group! This entry was posted in Azure, Bill gave a talk, Cloud Computing, Events, Patterns and tagged cloud architecture patterns on February 7, 2013 by Bill Wilder.